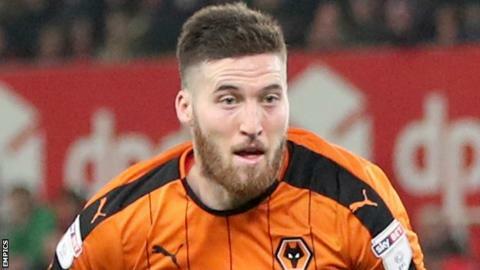 Wolves defender Matt Doherty says teams are having to adapt their style of play to face the Championship leaders. Nuno Espirito Santo's side were held to a 1-1 draw at Preston on Saturday, despite the hosts playing the final 31 minutes of the game with 10 men. The result left Wolves 11 points clear of second-placed Cardiff and 13 points ahead of Aston Villa in third. "They play differently, whether it's their shape or how attack minded they might be," Doherty told BBC WM. "The first time round in the season they might have played their own way then they realised that they would have got picked apart so they've changed their way. "Not every team will do it, some of the bigger teams will still back themselves, but that suits us as well." Wolves' next league match is against Norwich City at Molineux on Wednesday.